When it comes to detailing cars, there are TONS of products that you can choose from. Of course you have some of the big ones like Mothers, Meguiars, and stuff like that. There are even more products then just the ones you can find at Walmart. There are a bunch of little guys in the market that should be the big guys. I wipe down my car every day before I drive it. Yes, this may be overkill, but that’s what I do. So very frequently, I will find myself needing a good quick detailer. In 2010, I was walking around a car show after I finished setting up my car. There was this vendor selling a purple-liquid product named “Bead X”. He said he swore by this product so much, he gave me his personal bottle and told me to wipe down my car. I had just clayed and waxed it, so I didn’t notice anything extreme. I decided I would take a chance and buy a spray bottle of it. From the next time I used it on, that’s all I have used as a quick detailer. So what is Bead X? Bead X is the “super water repellent”, and “the quickest way to maintain that just waxed look.” At least that is what it says on the bottle. You know what? The bottle is correct. This spray detailer is made by the “Wax Daddy” (aka “the godfather of car care”) and Formula 113. It is a purple spray detailer that is really darn good. As I said, I wipe down my car before I drive it. I use this spray to remove surface dust (sand, and pollen), and occasional road muck spin off and bid poop. A very light spray does quite a bit. The bottle claims that two ounces takes care of an entire car. While I have not measured, those claims are probably true. I use a very light mist per area, and wipe it down with a microfiber towel. The product contains no alcohol or abrasives. After the application, my car is not only smooth to the touch, but if it rains, the water beads up just like it would if touching wax. I can’t confirm how long it stays that way since I apply it almost every day. I have used Bead X as my go to quick detailer for four years now. I use it on plastic, paint/metal, glass, and chrome, and it is safe for it all. At one point, the original spray bottle that this stuff came in leaked. I emailed the company and mentioned the issue. I was sent a new bottle right away without even asking. Since then, I have moved on to the gallon jugs, and I refill a cheap spray bottle I found at a dollar store. This product is a little pricey. When I purchased it from the vendor at the car show, I think I paid $10 for a 32 ounce bottle. The price on their website is $21 for that same bottle, and $40 for their gallon. Their prices have gone up since I ordered last. However, to stretch the life of this product out, I dilute it with filtered tap water like crazy! Even after diluting it so much, it STILL works like a charm. As I have mentioned, there are tons of quick detailers out there. Out of all of them, I highly recommend Bead X which is made in the good ol’ USA (New York). I would love to give you more detail about the company and product, but the Wax Daddy was impartial to an interview. Regardless, this product should be the last quick detailer you will ever need. 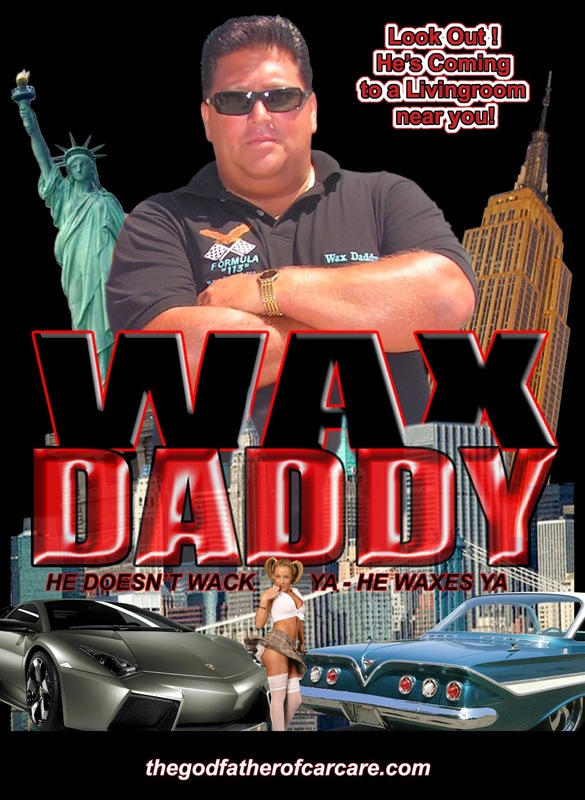 WAX DADDY IS IN THE HOUSE , PLEASE GIVE ME A CALL AT 561-420-4985 WATCH FOR THE E-LAUNCH OF FORMULA113.COM. The Men Behind The Mustang: Where Are They Now?